Ted Cruz calls out Democrat lawmaker for her Anti-Semitic slurs…and he’s not alone! 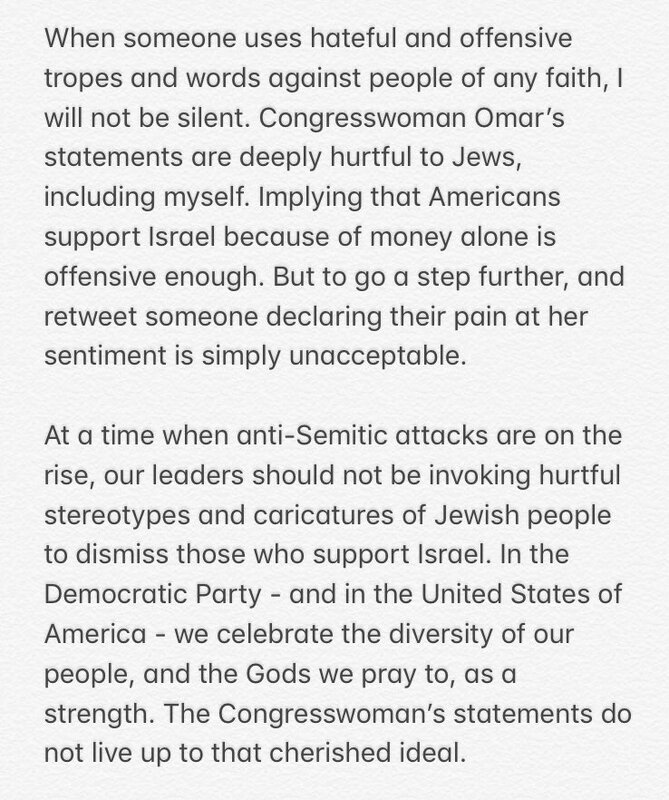 Muslim Congresswoman Ilhan Omar just can’t help herself when it comes to her anti-Semitism. Yesterday Haaretz ran an article about Republican leader Kevin McCarthy promising to take action against both Ilhan Omar and Rashida Tlaib for their anti-Semitic attacks on Israel. "It's all about the benjamins." "Why is a Member of Congress launching anti-Semitic slurs on Twitter? Caricaturing support for Israel as purchased by Jewish $$—“about the Benjamins”—is an old slander. Do other Dems agree? Will media ask them? As more Dems support BDS, anti-Semitism becoming far too common." My first reaction to Cruz’s question about other Dems agreeing is that they probably do. You know it’s getting bad when Democrats like this are starting to publicly call out their own freshmen Congresswomen. The question is will more in the party speak out against it? That anti Semite from Detroit is no better.